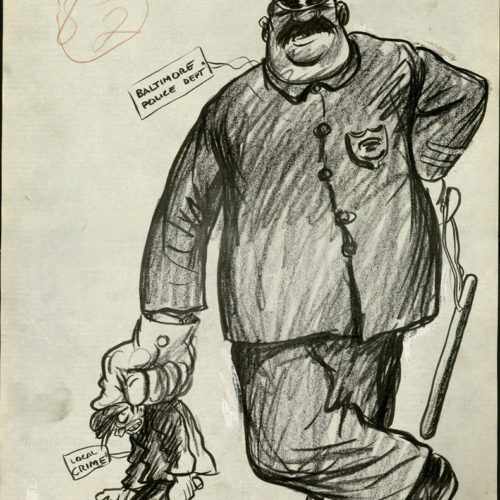 The manuscript collections at Special Collections include not just handwritten or typewritten documents, but also objects like games and printed materials like posters. Our manuscript collections are strong in the history of science, literature, higher education, politics, planning and development in the Baltimore region, and materials pertaining to Johns Hopkins University faculty. 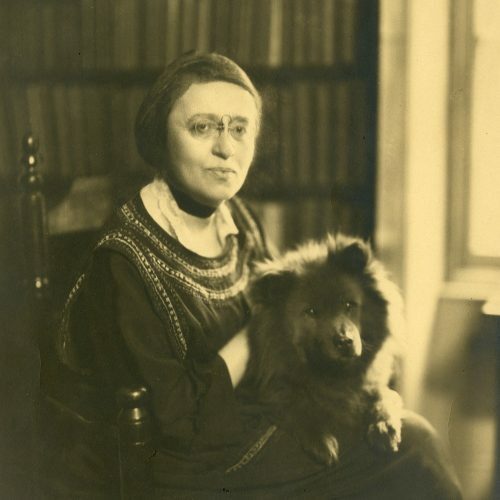 Most of our collections are personal archives of individuals who have a connection with the University, although we do have select records of organizations and businesses. 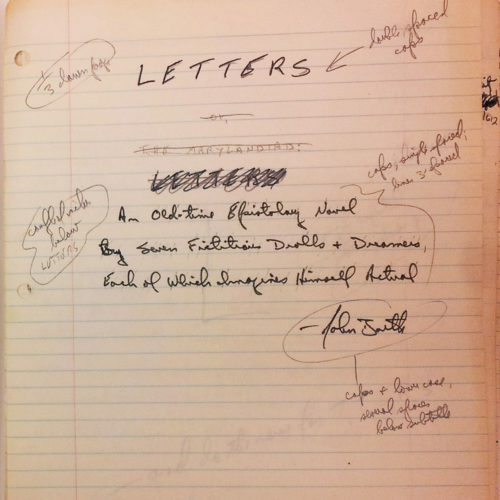 The John Barth Collection, spanning the years from 1930 through 2014, includes a variety of materials such as correspondence, photographs, notebooks, and typescript drafts that document the life and writing process of the National Book Award winning author. Shown here are the manuscript title pages for the novel LETTERS, published in 1979. 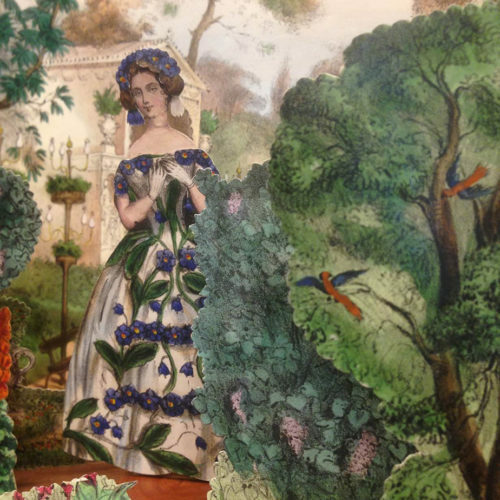 We have a growing collection of games and pre-cinematic toys that serve to illuminate 19th and early 20th century material culture, such as Les Fleurs Animées (The Animated Flowers). This circa 1850 French paper doll game was inspired by the popularity of J.J. Grandville's caricature book of the same name in which the personalities of society women are associated with flowers. The hand-colored game includes its original box, twelve costumes, and moveable scenery. 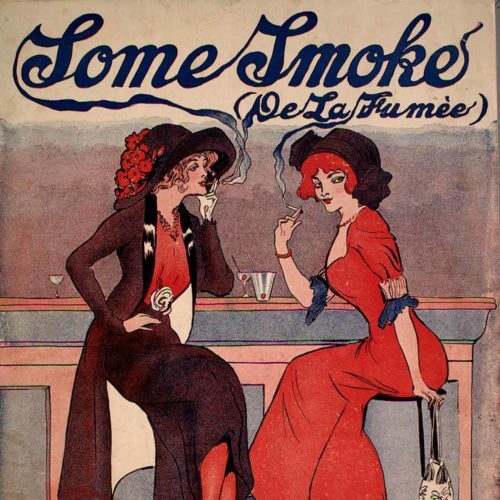 The Lester S. Levy Collection of Sheet Music contains over 29,000 pieces of American popular music from the 19th and 20th centuries. 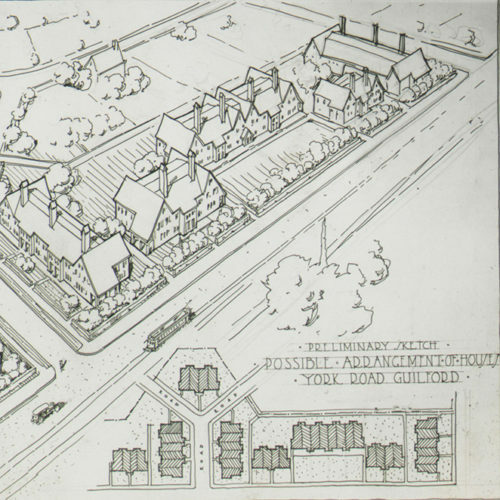 The Roland Park Company records document the corporate history of the Roland Park company, which developed the neighborhoods just north of Homewood campus, in the process inventing the modern garden suburb as we know it. A list of our manuscripts collections is available for browsing. Please contact us if you have questions about the collections or are interested in viewing them. In addition, we have a growing collection of ephemera such as scrapbooks, games, posters, and pre-cinematic toys, as well as journals, correspondence, and other documents showcasing the history and development of world’s fairs.